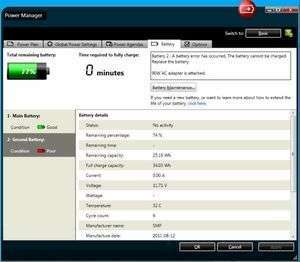 ThinkPad Power Manager is an application for Lenovo ThinkPad computers that can help save energy by reducing the running cost of your ThinkPad. ThinkPad Power Manager provides power management to reduce the power consumption of a device and maintain and preserve the state of the file system in RAM in the Reset, On, Idle, and Suspend power states. This application can create and schedule sophisticated energy saving events that automate your ThinkPad, and reduce your running costs. Version 6.67.4 is a freeware program which does not have restrictions and it's free so it doesn't cost anything. For security reasons, you should also check out the ThinkPad Power Manager download at LO4D.com which includes virus and malware tests. Additional screenshots of this application download may be available, too.